Private Home Centrally Located 3 BR 2 1/2 Bath 1950Sq' Open Main Floor Space!!!! The unique layout of this home puts distance between the bedrooms for privacy but keeps the conversation going with its open living floor plan. The Main floor has a kitchen with everything you will need and all brand new appliances. The large dining area has comfortable seating for 6(additional leaf available) plus breakfast bar seating for 2. The living room has a stone fireplace, flat screen TV and stereo with plenty of seating all under a cathedral ceiling with a wall of windows looking out to a beautiful view of Bromley. Secluded upstairs past the loft is a master bedroom with queen bed and full bath. Downstairs there are 2 large bedrooms also with queen beds that are separated by another TV room with a couch and electrically operated recliner(super comfortable),completing the lower floor is a full bath, and laundry room. A family of 6-8 will not feel crowded at all. The home comfortably sleeps 6 adults with privacy. There are 3 full size couches and an electric loveseat recliner and queen air mattress for additional use if needed. This kitchen is fully equipped as if you were home. No live TV is provided. Amazon fire stick for streaming Live TV if you have use a compatible service. Flat screen main floor and one downstairs. Netflix and Amazon Prime video and music provided. We really enjoyed George's house, it is a beautiful house, super clean and spacious and comfortable for 2 families. The view of Bromley is fantastic and the location is super convenient to everything we had planned. The beds were very comfortable, bathrooms and kitchen were very nice and well stocked, and the extra living room in the basement was great for the kids. This is a great property. George’s house is fantastic very well kept and extremely close to Bromley Mountain. Thank you George for having us in your beautiful Cabin. Our stay was amazing. The Cabin is beautiful and well maintained. It has all the amenities for a great stay. The area is beautifull and very private, easy access road to the home, and 10 min away from your closest local market. 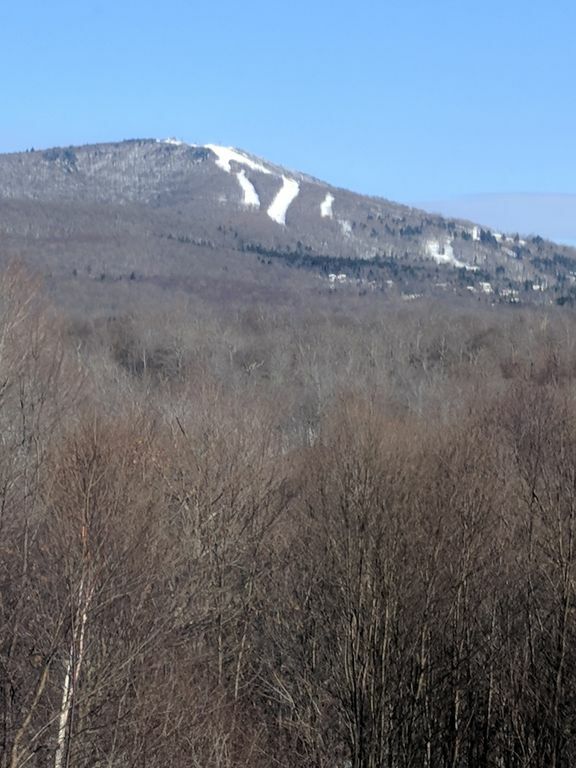 If you want a bigger supermarket, there is one within 15 mins in a nearby town, or walmart about 30 mins.. Stratton ski resort is within 15 min, Mount Snow about 30 mins, and Bromley less than 10 mins.. Overall extremely pleasant stay, the home is in excelent condition, and you have awesome board games/tv to spend a great time with the family. George is always available for any questions or concerns.. loved it. I know you will love it as well. Manchester Center just 7 miles away, for shopping and restaurants.